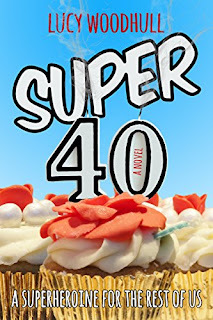 I didn’t know what to expect when I started reading Super 40. Sure, I was aware that it was a super-heroine novel, an ordinary woman who ends up with a radioactive tampon and the ability to shoot cramp-inducing lasers from her fingers. That premise in and of itself is entirely unique and unusual. But little did I know that in essence, the story of Shannon Johnson and her ability to change and save the world would have so many layers to it, a message for every woman who feels as though she’s getting lost behind the shuffle of society. 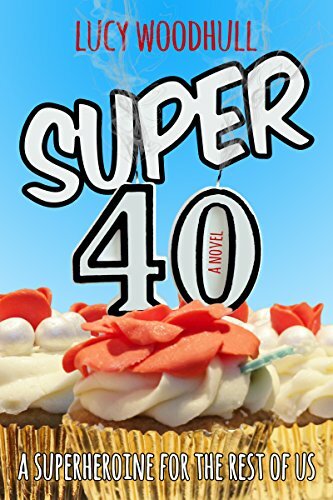 Shannon is nearing forty, an age she’s trying desperately to avoid. She thought she’d be farther ahead in life. Not living with her parents, divorced, childless. There’s so much she wanted to accomplish, an entirely different person she wanted to be when she grew up. So, when she finds herself with new superpowers, this creates a new outlook on life, or so she thinks. She could never have anticipated the amount of responsibility that comes from being a super-heroine, the choices she’ll have to make to save others, or save her own pajama-clad skin. It’s enough to drive any normal person insane. While figuring it out, Shannon discovers an inner strength she never knew had been there. And while having the ability to bring a full-grown man down to his knees writhing in pain may have a little something to do with it, ultimately, she finds out that she’s had a lot of power inside her the whole time. It’s an affirmation for most of us who think we’ve passed our prime in life. There are a whole slew of interesting superhero characters. Like Dolly Poppin’, Shannon’s telekinetic teleporting partner in fighting crime.Or Karma Kameleon, the hottest crime fighter in town. Even an anti hero, aptly named Antihero, gets in on the game, making this novel an incredibly interesting read. There was never a dull moment, full of action and suspense from start to finish, giving me an enlightened look at what it’s like to feel down and out, and doing what it takes to change that perspective on life. Thanks to Lucy Woodhull for the book in exchange for an honest review.